Hello, I had been searching the internet for the past few days for anything that may resemble a statue I recently acquired. I found very little information about it. I found your site and thought maybe to inquire. 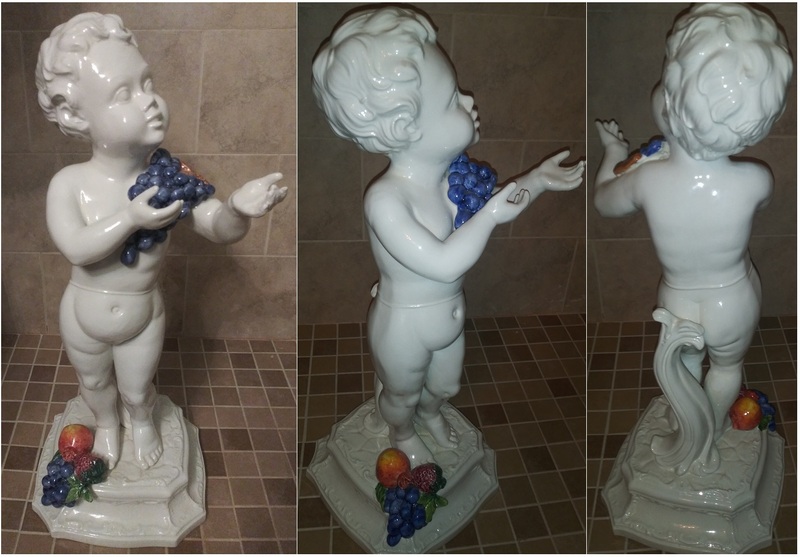 The statue I mention is Italian, hand painted, 25 inches tall, and is possibly of ceramic or porcelain material. 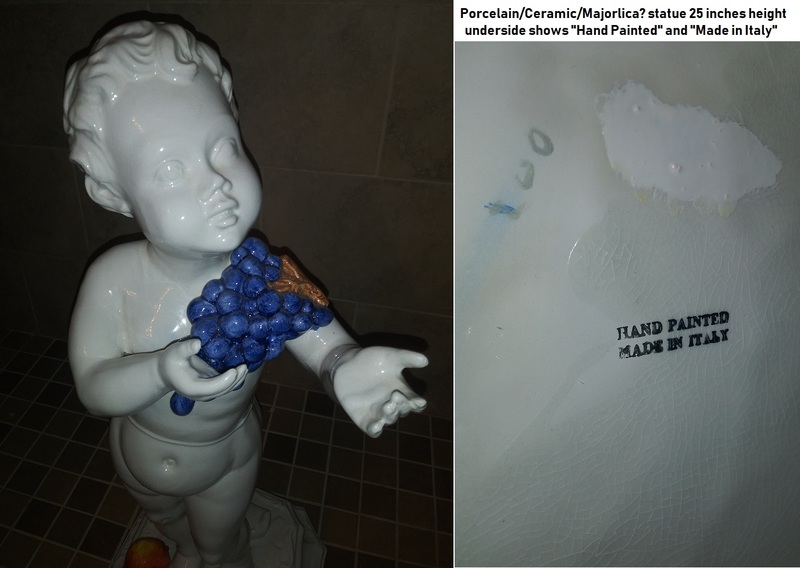 It might be majolica as the crackled glaze texture seems similar. I am including some pictures of this item with the hopes that you could tell me anything about it, such as age. I will greatly appreciate your help, thank you for your time and effort.Tentatively, J.H. stamped "Made in Italy" and "Hand Painted"